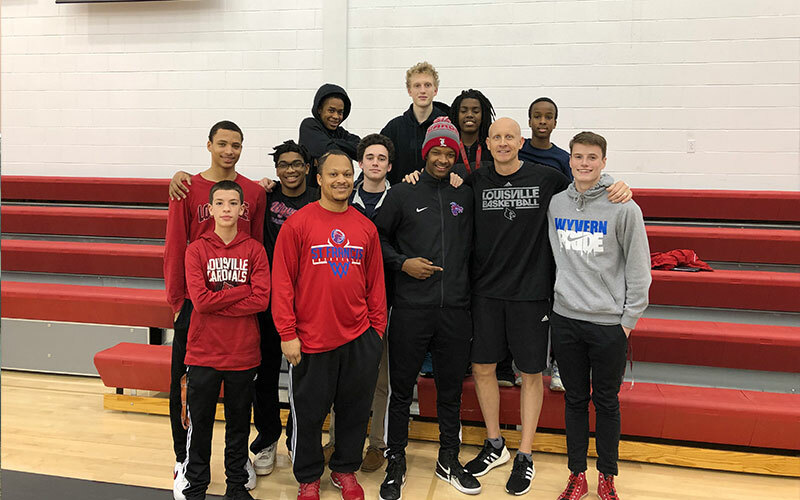 It was a big week for the boys’ basketball team, with a visit to the University of Louisville men’s basketball practice on Wednesday (coincidentally, they left shortly before Adam Sandler, in town to perform, visited the U of L practice as well!). Also on Wednesday, flanked by his teammates, senior Jeremiah Smith committed to play for Greenville University next year. Congratulations to Jeremiah! As I mentioned in my article last week, we had Will Straughan from FCD (Freedom from Chemical Dependency) at school Monday – Wednesday. Each grade met with him twice; as well, he spoke to parents on Tuesday morning and to the faculty on Wednesday afternoon. He was well received by the students and was able to hold some really important conversations. FCD’s approach is health-based, focusing on the effects of substances, especially on teenage brains. It’s an approach that allows for lack of judgment and opens the door to discussion. We encourage parents to take this opportunity to engage with your students about substance use. You might ask them what Will focused on with them, whether anything discussed was surprising, or what they agreed or disagreed with. Finally (and I think I showed great restraint in not making this the headline), I must report that the faculty team (with the addition of senior Caden Kirby) was victorious over the students in last Friday’s basketball game! And this was without the stellar skills of Tony Butler, who was off coaching a middle school game. Winter Sports Spirit Night also brought a win for the boys’ varsity team and was great fun for all. Thanks again to Goshen parent Shari Broecker for bringing a bouncy house for the high school students to play in!